Vests used to thin and loosen mucus in patients with respiratory and neuromuscular diseases — called high-frequency chest wall oscillation (HFCWO) vests — do not increase airflow bias in the lungs, trial data shows. In the first study using spirometry measurements in such vests — including forced vital capacity, forced expiratory volume, and forced expiratory flow — researchers actually observed declines in lung function in the short term. AffloVest, by International Biophysics — the trial’s sponsor — showed the smallest drop in key measurements. The study, “Effect of High Frequency Chest Wall Oscillation Vests on Spirometry Measurements,” was published in Respiratory Therapy‘s online issue and will be featured in the October print issue. High-frequency chest wall oscillation is an airway clearance therapy that uses inflatable vests that produce vibrations to help separate mucus from airway walls so that it can be expelled more easily. These vests have become one of the standard therapies to manage respiratory conditions such as cystic fibrosis, bronchiectasis, and chronic obstructive pulmonary disease. Although it has been hypothesized that these vests work by increasing airflow bias in the lungs, their effects on cephalad airflow bias has never been evaluated in a clinical setting. Cephalad airflow bias is the term used to describe the opening of the airways when we breathe in and the narrowing when we breathe out. It is responsible for mucus movement in normal breathing. “It has been claimed that one of the operating principles of HFCWO vests is creating ‘airflow bias’ in the lungs, but valid clinical evidence supporting that claim is lacking. We aimed to prospectively evaluate lung function scores before, during and after use using different types of HFCWO vests to evaluate the claims of increased vest-induced airflow bias in the lungs,” Thomas W. O’Brien, MD, pulmonologist at Pulmonary Disease Specialists in Kissimmee, Florida, and the study’s principal investigator, said in a press release. The prospective, single-center, three-arm study (NCT03103880) enrolled 32 healthy people in February and March 2018. 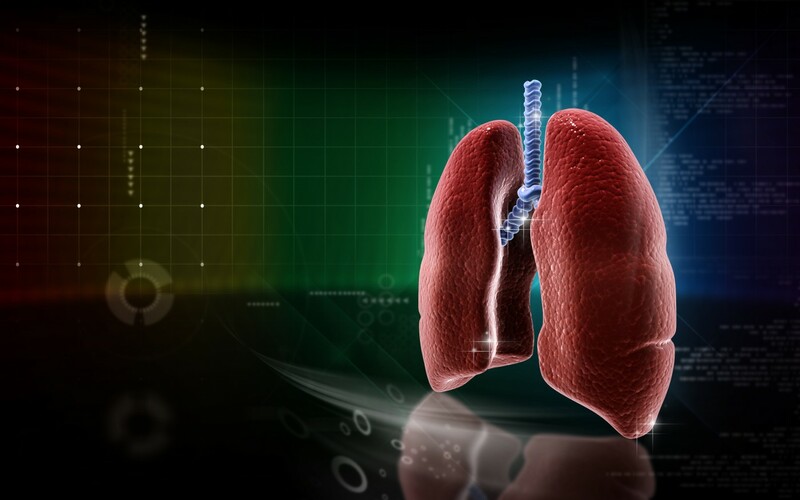 The subjects were evaluated for baseline lung function parameters, including forced vital capacity (FVC), forced expiratory volume (FEV1), peak expiratory flow (PEF), tidal volume (TV), and forced expiratory flow (FEF25%-75%), according to the guidelines of the American Thoracic Society (ATS). Each participant was fitted with two types of HFCWO vests: the motor-based AffloVest and compressor-based devices The Vest, SmartVest, and inCourage, manufactured by Hill-Rom, Electromed, and Respirtech, respectively. Lung function tests were then performed at baseline and while wearing each vest to compare function before and after using the different types of vests. While there were no significant differences in TV and PEF at baseline and when wearing any of the vests, this study showed for the first time that the use of compressor-based devices leads to a significant decrease of FVC, FEV1, and FEF25-75%, in comparison to baseline values. Although both types of vests led to a significant decline in FEF25-75% compared to baseline, the group wearing the compressor-based devices had a reduction three times higher compared to the AffloVest group. The measures, however, went back to normal once patients stopped wearing the vests. In addition, none of the HFCWO vest groups showed statistically significant increased airflow in the lungs, which goes against the idea that HFCWO devices work by increasing cephalad airflow bias. These findings demonstrated for the first time that the use of compressor-based HFCWO vests significantly reduced several lung function parameters, while AffloVest only decreased FEF25-75%. Moreover, the study challenged the idea that these vests operate by increasing cephalad airflow bias in the lungs. “This clinical study challenges the long-held belief that HFCWO vest-induced cephalad airflow bias correlates to effective airway clearance therapy,” said David Shockley, International Biophysics’ president and CEO. “Manual Chest Physical Therapy (CPT) has always been considered the gold standard in mobilizing and clearing lung secretions. We engineered and developed the AffloVest to mimic hand CPT using our patented Direct Dynamic Oscillation technology that also provides the benefit of mobility and portability during use for the user,” Shockley added. The post Airway Clearance Vests Don’t Operate by Increasing Airflow Bias in the Lungs, Study Shows appeared first on Bronchiectasis News Today.